Neil worked for a number of private architectural practices including Mason Richards Partnership (now RPS), and then for housing developers as part of their in-house teams before setting up NBA back in 2004. 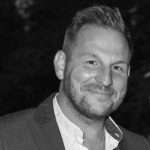 Neil was Design and Planning Manager for Fairclough Homes, Senior Architectural Planner for Crosby Homes and Director of Design for Countrywide Homes. In his spare time Neil enjoys property renovation, spending time with family and drinking French wine!